Has either one come in contact with toads? Hey Laurie - not that I've seen. I would think it is highly unlikely we would cross paths with too many of those around here. I'm so disheartened to hear your lovely girl is experiencing these issues. Thank goodness the ultrasound came back negative. I lost my darling May 15th. She was 13, and had many of the symptoms you're describing. It pains me to share that with you....I know your heart must have dropped to the floor. Please check her pancreatic values. 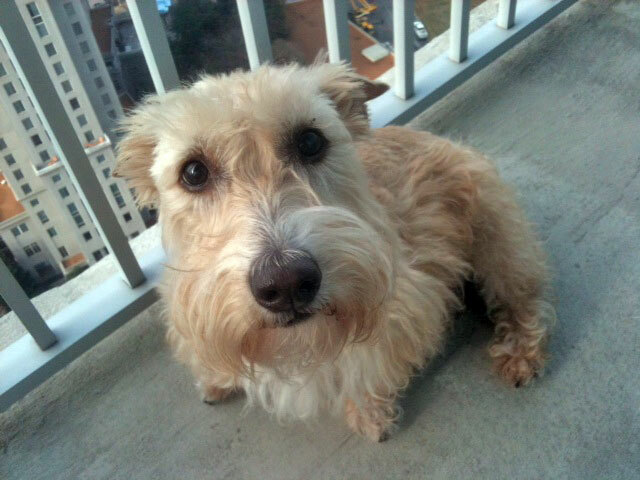 Sophie had pancreatitis in addition to liver disease and cancer (indicated by tumors). The cause was not determined, but I have several suspisions: Swiffer floor products, chemical spray on lawns where we walked regularly, and the scariest...food. My vet determined Cushings prior to that fateful USound. But i'm sure you've ruled that out by now. Keep a real close eye on that pancreas. That little organ, if clogged, can wreak havock. If the vet gave you the blood results, you can check them against normal values, then research possible causes of those out of norm. Google blood values in dogs. I will keep you and your little ones in my prayers. Your blog is so entertaining, and i hope you're all around--and healthy! for many moons. I wish I had something to tell you to help. 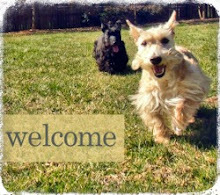 I am sending all my (and my 2 scotties) best wishes your way and hoping that both your little ones are ok and will be back to 100% health very soon. 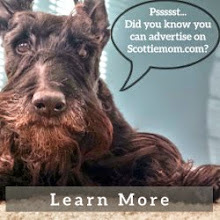 I have not had this problem with any of my 8 scotties. But elevated liver counts are what always indicated cancer in my babies. However, I am sure it can have other causes. Cushings is certainly a concern with the peeing. Wishing you the best. I use Clairemont Animal Hospital on Clairmont Rd. Been going there since 1989 or 90. I adore Dr Mike Smith who started the clinic but he has many vets there now and he only sees patients on 2 days a week- if not an emergency I hold out for him-a plus is they are open 7 days a week. 404-633-6163 He is pricy compared to some. Sophie's Mom - First and foremost, thank you for sharing your experience and I'm so terribly sorry for your loss. I cannot imagine what it must be like without her after 13 years. When you say you suspect Swiffer products, would it happen to be the hard wood cleaner for the Wet Jet? This is the only non-natural cleaning product the dogs could come in contact with every once in a while. Heather's vet said that based on her symptoms, it wasn't likely that cleaning products were the cause - UNLESS she drank directly from the container (she can't, it is always stored in a closet) OR if she licked it up directly after the cleaner was put on the floor. Still, with such similar incidents in both dogs, my gut tells me it ihas to be an unknown toxin. Chemical spray on grass is out - there simply isn't much grass around us to speak of BUT there is a mulch dog walk they could spray...As for food, the Scotties both eat Blue Basics because of Mr. K's allergies. The vet didn't seem to think that could do it, either. Thank you all for your support - as of her last visit, Heather was stabilizing with her liver values down to 700 but another value still hanging up in the 2000s. We'll know Monday if that one has gone down with the help of her medications. As soon as I started reading this I wondered if you give your dogs any special treats. Dog treats made in China have been causing some dogs to become sick and even die. Please check the packaging to see where they are made - even the dog food. 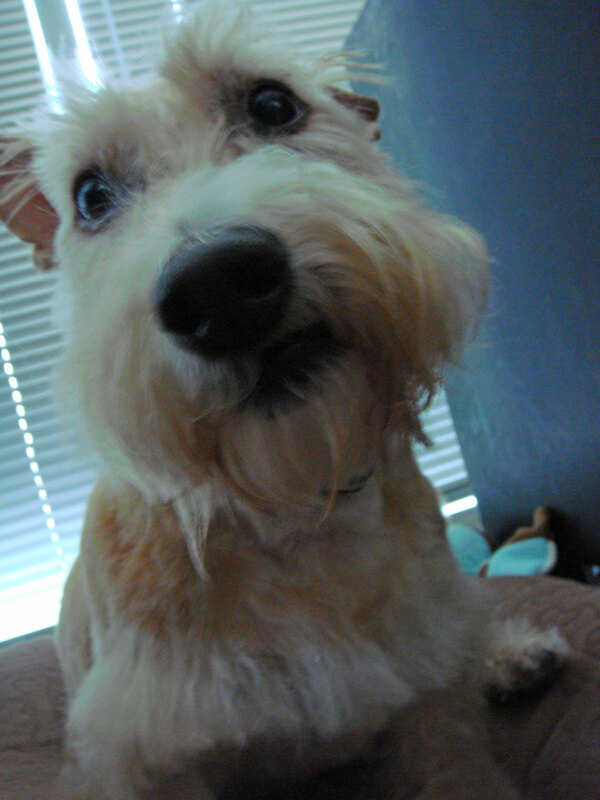 It just seems to coincidental that both of your wonderful dogs would develope similar health problems. I hope they get better soon. Yes. Swiffer Wet Jet for hardwood floors. I always made sure the cleaner had dried before she walked on it because I recall many years ago a warning re harm to pets...including death. But surely they must have reformulated to a safer standard! ??? I recently learned how our incredibly absorptive(?) the pads on dogs feet are. That is how toxins enter. Frightful. But in all fairness, Sophie was a floor-licker. You know, left-over cat kibbles, a dropped cracker etc. LOL. I still have a swiffer style mop, but now mix my own pet-friendly solution. hope you do pinpoint the exact cause soon. Stay safe.